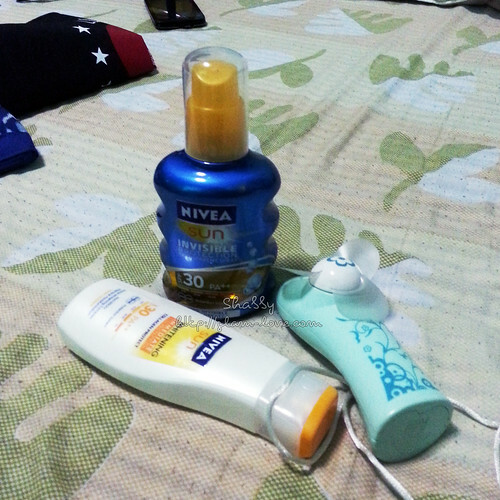 Over the later part of the supposedly summer season (the weather is confusing really), I finally decided to purchase two body lotions for whitening and protection of my skin. Several weeks ago, I met up with Lans (PR/Creatives of Mosbeau) and Steff (Sales & Internet marketing of Mosbeau) at UCC Greenbelt to catch up with each other after the Mosbeau bloggers’ event last April. In between snacks and talks about shopping at Zara (and the coaxing to buy an Eraserheads boxset), Lans and Steff informed me that Mosbeau will finally be releasing a TV commercial for the Philippines to promote their products. They shared the press release revolving around the commercial and some photos from behind the scenes. 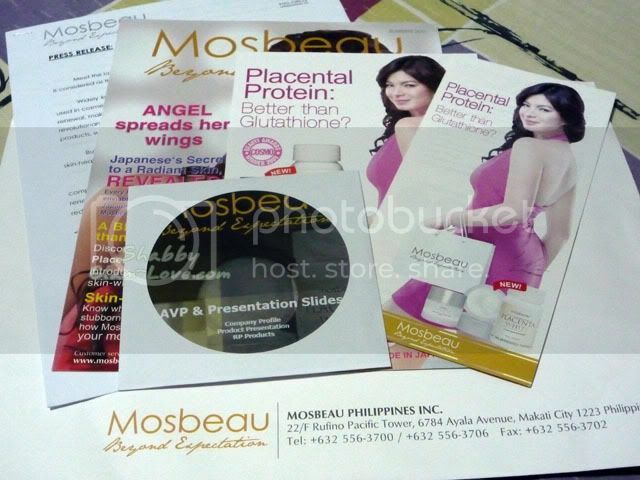 It’s been almost a month since we were at the Mosbeau skincare launch at Toki, where they introduced us to two of their leading whitening products: Mosbeau Placenta White food supplements and Mosbeau White Underarm & Inner Thigh Cream. Karen & Shabby has already given you the background details of the company and the products, what I am here for is to put these products to a test. 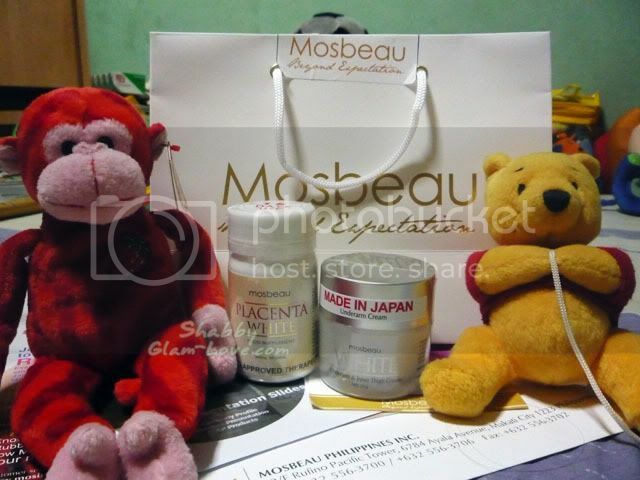 I blogged about my Monday adventure that includes the Mosbeau event here. I won’t be discussing about the event itself here anymore since Karen has already filled you in on the details. 🙂 Joiz and I would be the guinea pigs of the Mosbeau whitening products. I only got to open last Friday the documentations and freebies Mosbeau gave. Last week, Mitch Velete messaged me on Twitter inviting me to a skincare launch. I said I will go and asked if I can take Joiz and Shabby with me. She said I can so I told the ladies about it. Mitch even asked me to invite other bloggers and since I don’t have many connections to other bloggers, I decided to seek Sophie‘s help and she did. Thanks, Sophie!